Did you know that women-led companies made up just 4.94% of all U.S. venture capital deals this past year? According to Fortune, when you take into account the size of the deal, women received just 2.19% of venture capital dollars. This enormous disparity in fundraising inhibits female-owned startups. 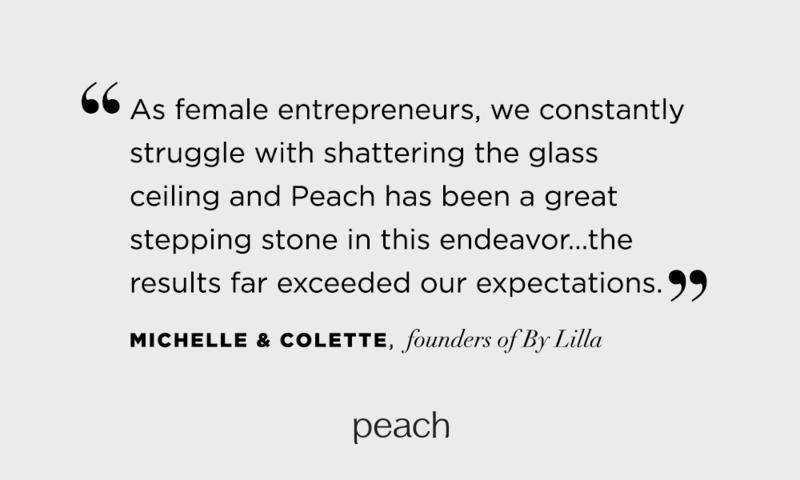 A big part of our mission at Peach is to support and champion women’s entrepreneurship. Since the beginning, we have done this by giving women the platform to build and lead their own fashion apparel businesses as Peach stylists. In addition this year, we beta-tested a powerful new program to support small or under-discovered, female-founded, fitness and fashion accessories companies. Each season, we are selecting two to three up-and-coming brands to feature alongside our latest athleisure apparel collection. This Beach Candy towel by Sue Joyce for Turkish T was a bestseller for Peach! We purchase, sell and promote the amazing fashion accessories created by these women entrepreneurs to clients through our national network of stylists, on social media, email campaigns, and our website. One perk of selling their products through direct sales is that it allows stylists to tell the brand story directly at parties and trunk shows, versus passive retail channels. The results can be game-changing exposure. For some brands, we instantly become their largest customer! Many of our featured entrepreneurs’ products have become our best sellers. On top of this, our clients love being introduced to these exciting, up-and-coming brands and their unique stories. For us at the home office, we’ve also had a lot of fun getting to know entrepreneurs and bringing their brands to life through our personal commerce model. 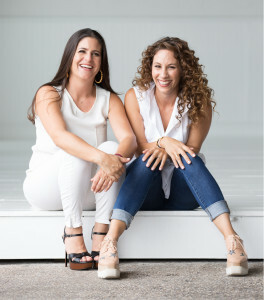 Colette Feldman & Michelle Possin create innovative, stackable bracelets that are also hair ties. 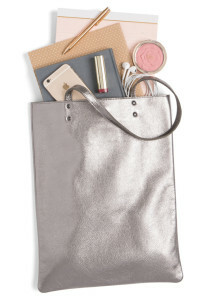 Since January, we’ve showcased a variety of emerging brands, including leather totes and clutches by Leah Lerner, Beach Candy towels by Sue Joyce, and stackable bracelets that moonlight as hair ties, from Michelle Possin and Colette Feldman of By Lilla. We’re looking for contemporary, stylish, emerging fashion and fitness accessory brands that pair well with our product offering and price points. We look for unique handbags, beach bags, jewelry, scarves, hats, hair accessories, socks, sunglasses, gloves, as well as fitness accessories such as gym bags, yoga mats and water bottles. Typically, we select one to four styles to showcase with our seasonal apparel collection. It takes about three months from selecting the brand to customer sales. Calling all fashion and fitness accessory designers. It’s official! The testing is done. Now you or a friend, can apply directly on our website to be our next featured entrepreneur. Good luck! Share this with a friend. Interested in starting your own fashion business? Become a Peach stylist.